Step1. Let’s assume we need to convert any one record of the table. Step2. In Tx- SE11 create a structure with the below fields. Step3. Go to Tx- SXLT_TOOL. Step4. Provide a transformation name and create it. Step5. Provide short text, select as Simple Transformation and continue. Step6. Save it and click on SourceCde tab. Step7. Click on the Wizard button. Step9. Right click on the Root Node and select Insert New Root. Step10. Provide any root_name and the above created structure name. Step11. The below screen appears. 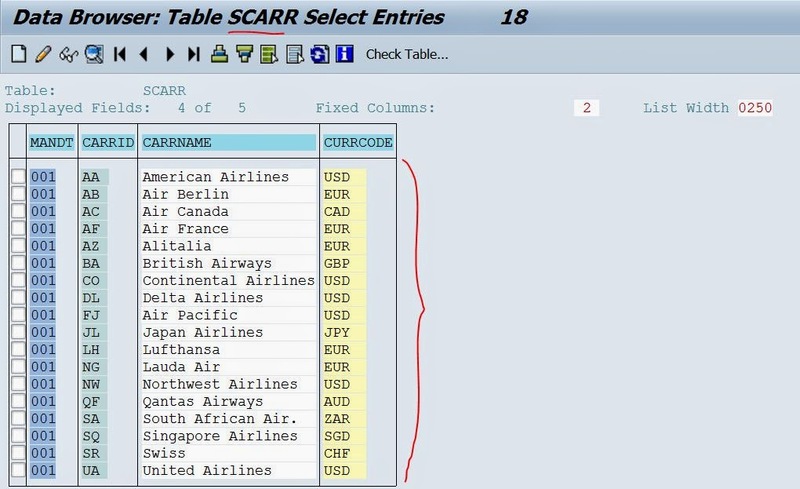 Now Drag the Node ‘FLIGHT_LINE’ to the Right side of the screen and drop under Simple Transformation tab. Step13. Go to Tx- SE38 and create a report. Execute the program. 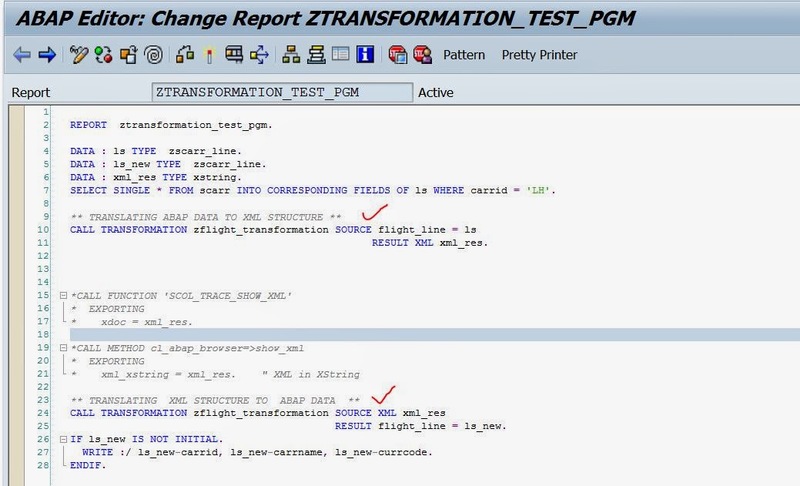 By first transformation call the abap data are converted to xml and then this XML data are passed to the second transformation call to get the abap data.